£ Uft (- fr ^ r> o.
enter with the hips and throw him. 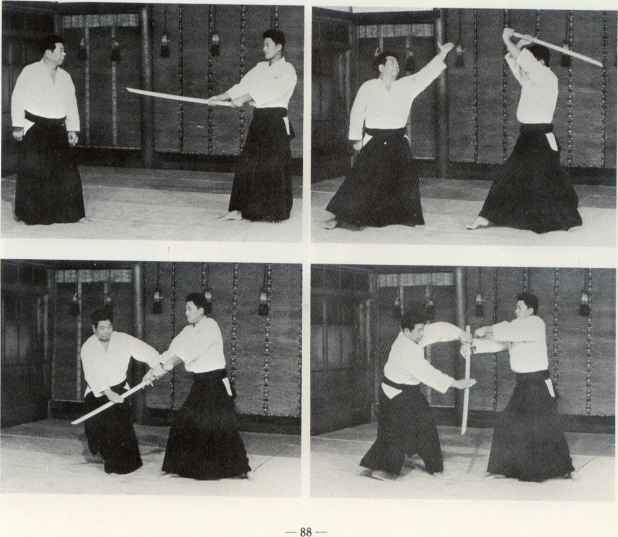 This technique is called "Shinken Shiraha Dori". 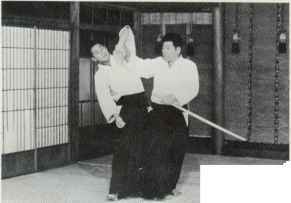 It is very important to raise the ken along the opponent's center when taking it from him. 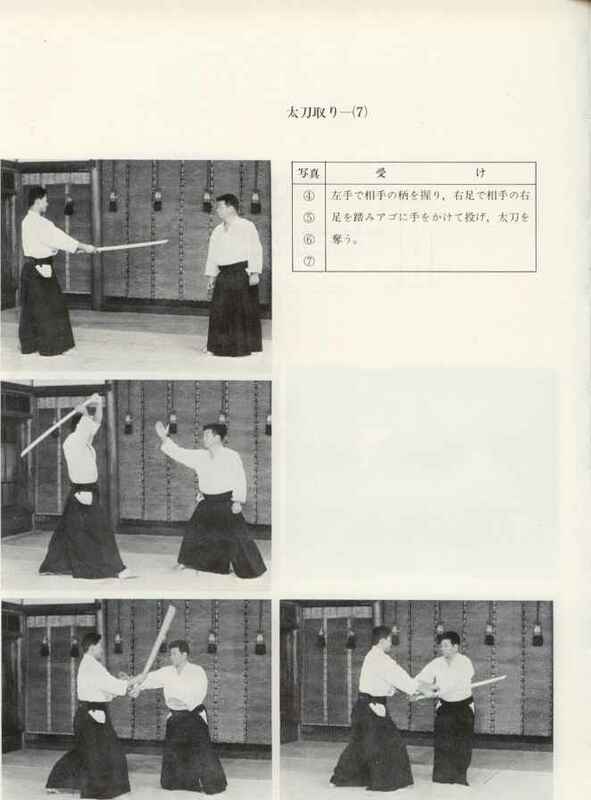 Grasp the hilt of the opponent's ken with your left hand. 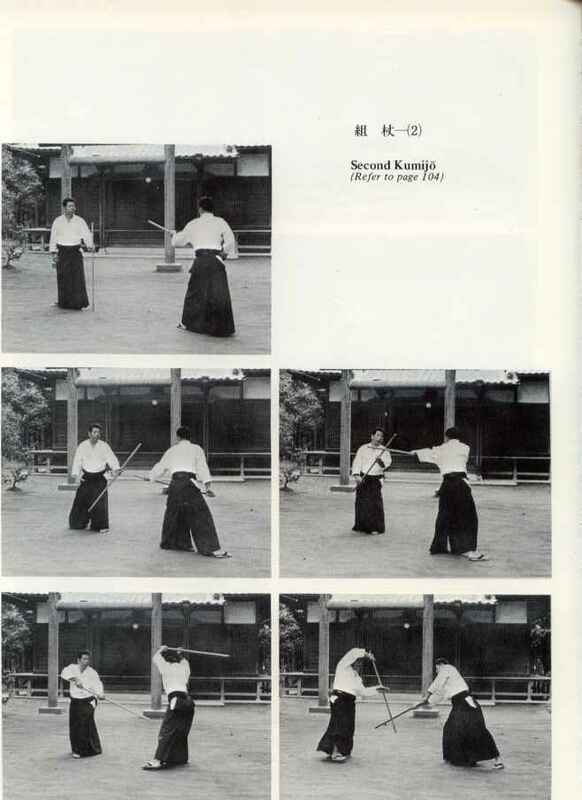 Step on his right foot with your right foot, extend your hand to his chin and fell him while taking his ken. 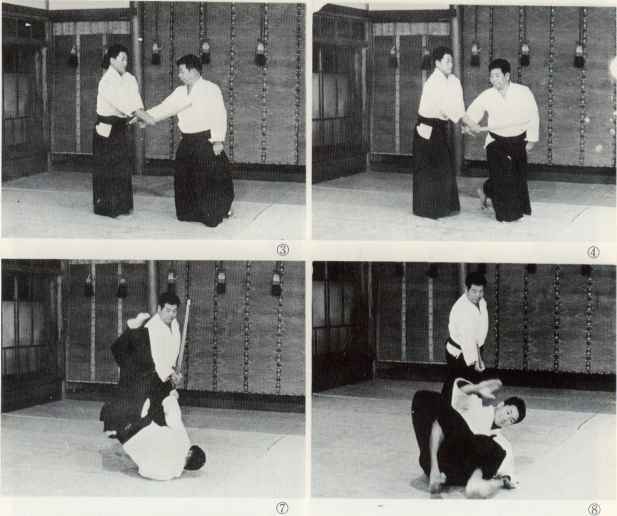 Uke — Place your right arm under the opponent's left elbow. Raise your hand as if lifting a ken and throw him as if striking. 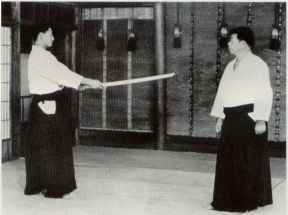 ttg £ f> h O Ttflí-^ .b ë Tío H-è ± ff S.
hand grasp his ken hilt. 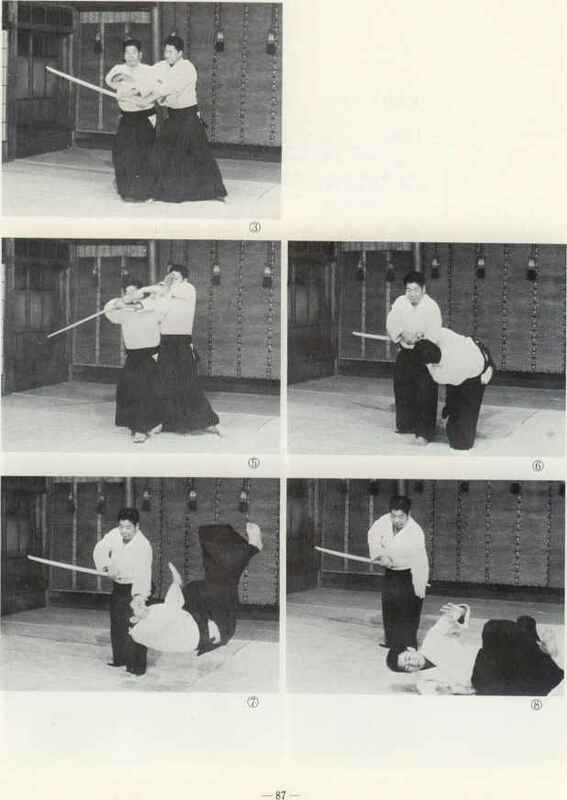 This technique is called "San-kyo." 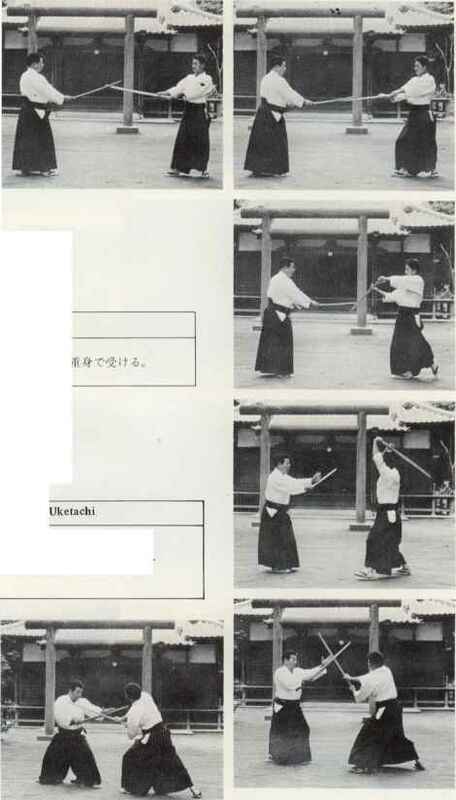 The explanations of Ikkyo through Gokyo techniques will be covered in Volume III. 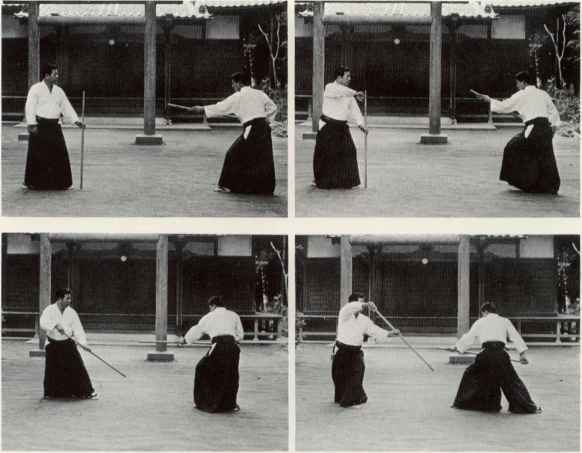 This technique is called Yon-kyo. 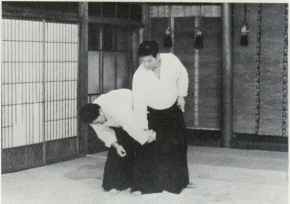 In applied techniques of Sankyo, the opponent's wrist is held from the back of his hand. 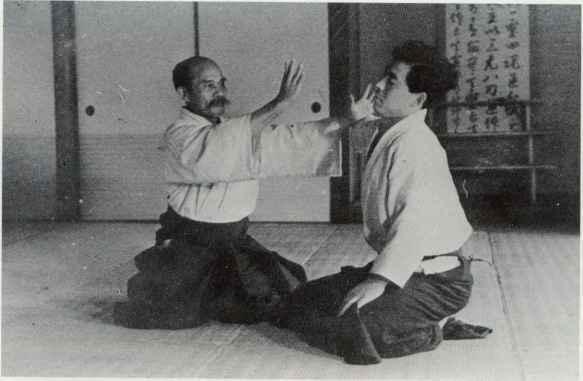 In applied techniques of Yonkyo, the opponent's wrist is held from the front of his hand. 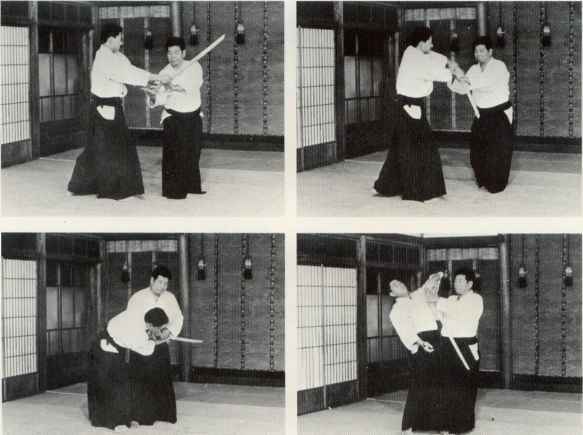 The kumijo presented here are the basic techniques making up the Aiki Riai. 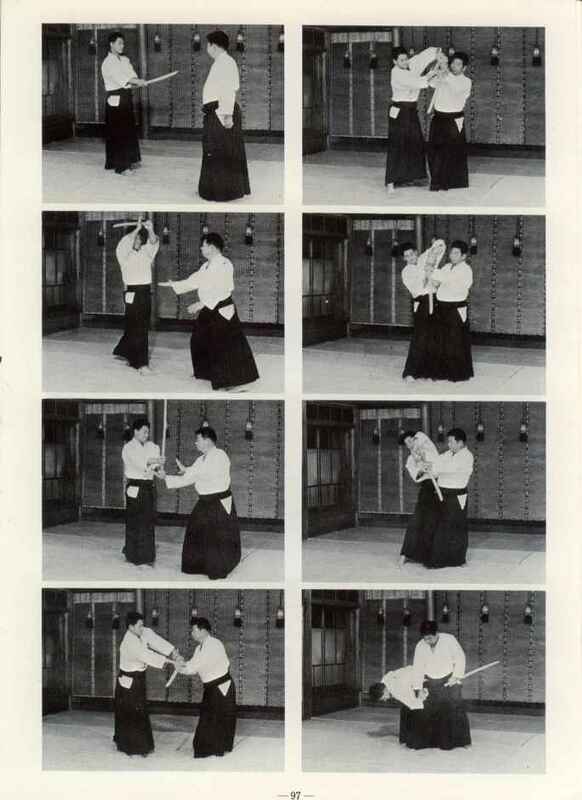 Those who read this book and practice the basic patterns are encouraged to discover and develop new ones. Stand with the jo in front of the left foot. 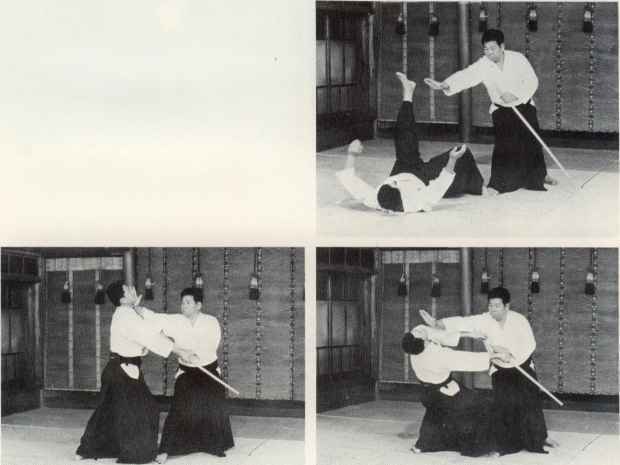 Withdraw the jo when Uke thrusts and hold his jo down. Thrust straight once again. 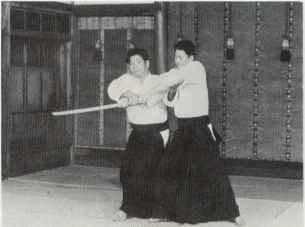 (Choku tsuki). 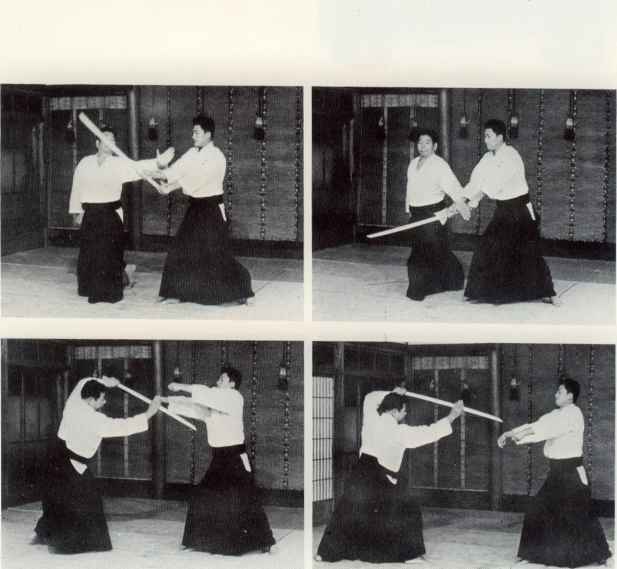 More to right hanmi and strike the opponent's head. 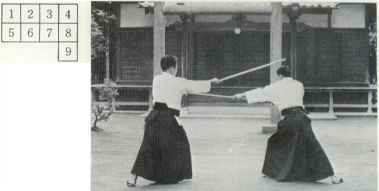 With the left foot, step forward to the left, and, flowing with the thrust, defend. 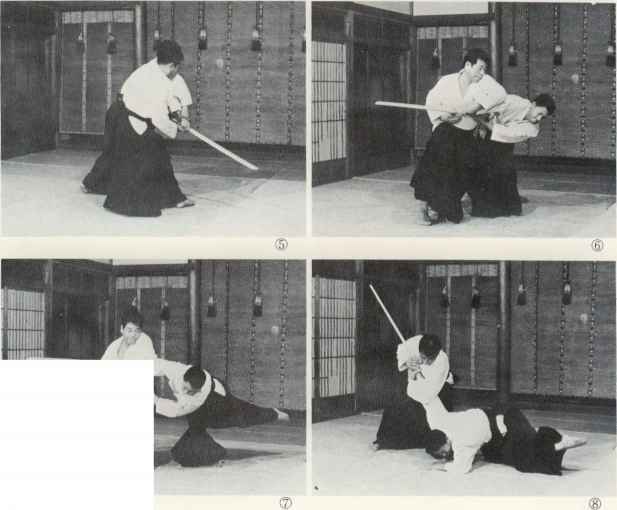 Thrust of the opponent's face. 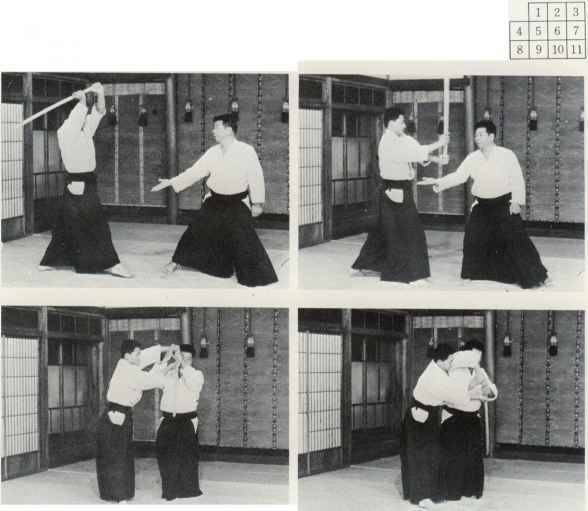 Move your body to the right and block his low strike. 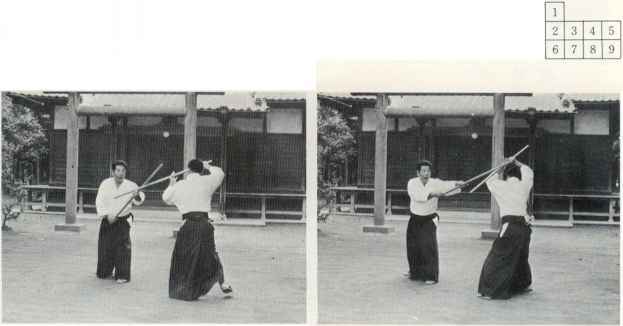 As shown, strike at the opponent's head. Strike low to the leg.